When you win a bid for a commercial project or a developer has personally sought your company out, you want to make sure that you can deliver exactly what they’re asking for, and more! Commercial products typically require a more durable building material because it’s built to withstand more traffic. Also, the amount of money that is invested in commercial builds needs to render a decent ROI. In order for this to happen, the build needs to be attractive enough for other successful businesses to base their operations there. The only way this will happen is if the building owner can charge a premium price in rent, and to do this requires providing a space that shows these businesses that they’re getting what they pay for. The quickest way to provide quality to any commercial build is to incorporate a natural stone of some sort—preferably marble. Marble tiles are typically used for flooring because they’re durable enough to withstand the high traffic that most commercial buildings endure. They’re easy to clean and will never need replacing—unless it’s under extreme circumstances like a natural disaster. Otherwise, you can expect marble floors to last for decades to come. Your only two decisions would be to figure out who is the best distributor to stock your inventory and what kind of marble tiles you ought to stock. Nalboor Tiles is a wholesale natural stone distributor that offers a myriad of different natural stone selections in slabs, tiles, and mosaics. With the right designer, you can build a one-of-a-kind skyscraper that will attract the type of business that’s willing to pay the premium rent rendering you a good return on investment. We mine our inventory from our own quarry that’s primarily based in Turkey, although we have access to quarries in other continents. Because of this, we have a consistent supply of high-end marble, travertine, limestone, and other natural stones coming into our Miami warehouse that’s near the Port of Miami, making it much easier for us to receive incoming shipments from overseas. What this means for contracting businesses like yours is that you can rest easy knowing that you will have access to an unlimited supply of quality natural stone building material. This is most useful if you are trying to establish your brand with a certain kind of material. Supplying a superior building product like marble and engineered stone isn’t enough to providing a great build if you don’t have enough inventory on hand. One of the main components to ensuring that your company follows through is making sure that you have enough inventory to complete the project. Not having enough on hand can set your entire operation back and cost you thousands, maybe even millions of dollars. Before you place your online order of natural stone, Nalboor Tiles strongly recommends that you find out what the actual tile will look and feel like. We understand with online ordering, that’s not always possible, but it is with Nalboor Tiles. We offer free samples to serious buyers with no strings attached. In fact, you can order a free sample through our website. All you have to do is pay for shipping and handling and you will receive your sample via FedEx Ground. One thing you should keep in mind when ordering free samples from Nalboor Tiles is that natural stone has different variations. No two tiles will be identical, even if they are the same kind of tile. The free sample is intended to give you a general idea of the color and veining as well as the feel. These free samples are just a piece of the slab. You will not receive a perfectly square tile. Also, these samples are not for construction use, but as a reseller, you could use these samples for your own customers. Should you choose an additional sample, the cost will be $5.99. View our online catalog of natural stone tile here. Interested in Engineered Stone or Porcelain? Nalboor Tiles also offers a supply of engineered stone and porcelain tiles. Many resellers have started stocking porcelain wood look tiles as it is becoming more popular in commercial builds that want to present a slightly warmer space. It offers the look of natural wood without worrying about keeping up with the maintenance that natural wood floors require. The porcelain wood look tiles aren’t that much more expensive than marble tiles either, so you wouldn’t be breaking the budget. 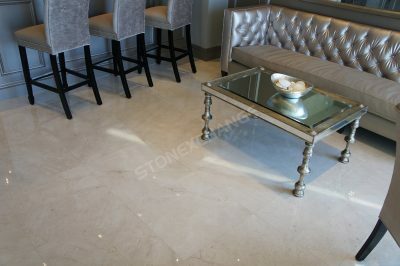 You can also get porcelain tile that looks like marble and travertine. View our full catalog of porcelain tiles here. In addition to our free samples, Nalboor Tiles also offers generous discounts for bulk orders. If you were to get your supply of natural stone tiles from your local home improvement store, you’d be paying the wholesale price, plus the markup that the vendor added. If you’re contracted for even one commercial project, you need to order your natural stone tiles in bulk. You’ll not only save money, but you’ll have an ample supply in case a tile gets damaged during transportation to your building site, or during installation. Contact Nalboor Tiles today to learn about the different stone and tile selections you can get at a discount price. Call our 305-501-4549 or email us with any questions you may have.